Sorry for the delay, the artist was ill. Updates every other Saturday! 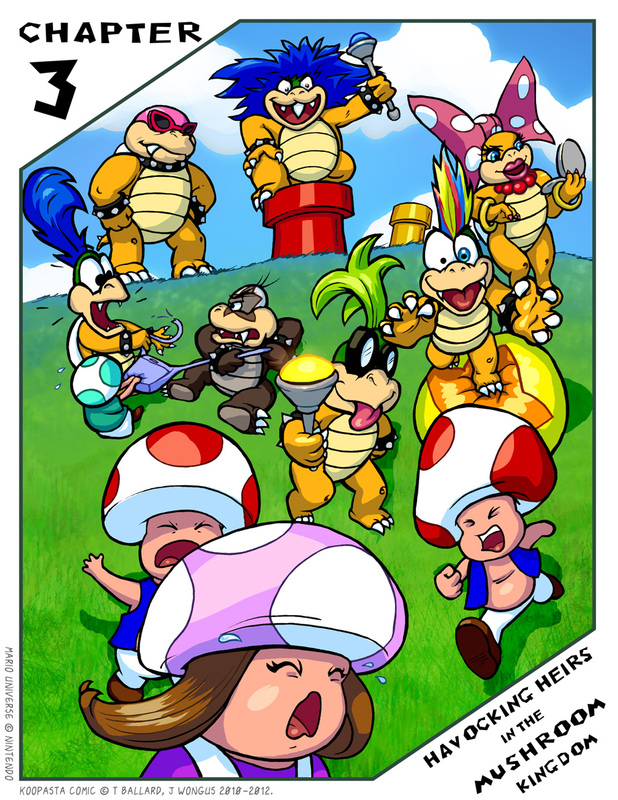 I'mma guessing Mario's gonna have to do some baby sitting... er stomping to keep this lot under control. Did Iggy steal Kamek's glasses? No way! Iggy earned those with his own bad eyes. Now that, my friends is what I call divisive! OH SNAP! Look at you being all clever! Love it!! Ludwig Von Koopa is my favourite, I like his hairs. Yes, it is so NICE to see them back!!! Those poor Toads. This is gonna be a fun chapter. Can't wait.